There was a good chunk of time in the morning after I arrived before the class was to meet up at our hostel, so I kept walking around like mad, soaking in the cityscapes. 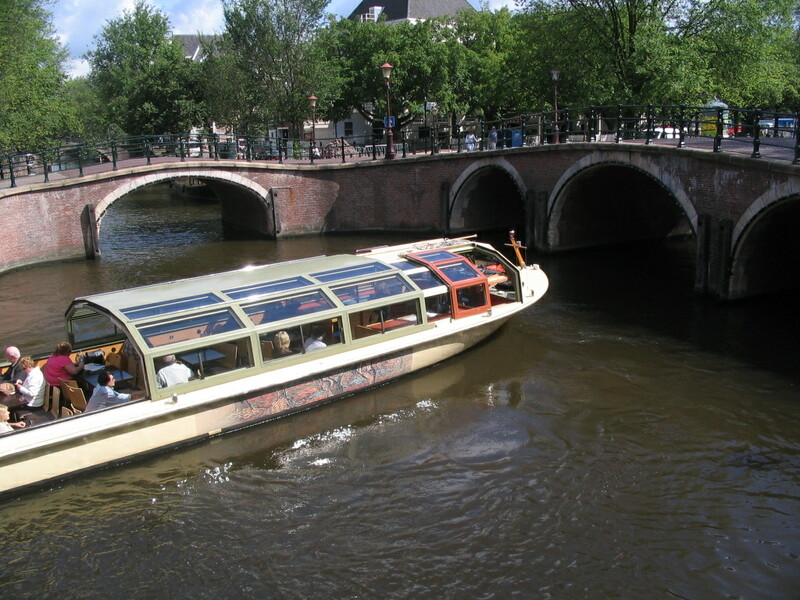 Just past De Bazel along Vijzelstraat, a particularly orderly view over the Keizersgracht (Emperor's Canal), another of the concentric canals. 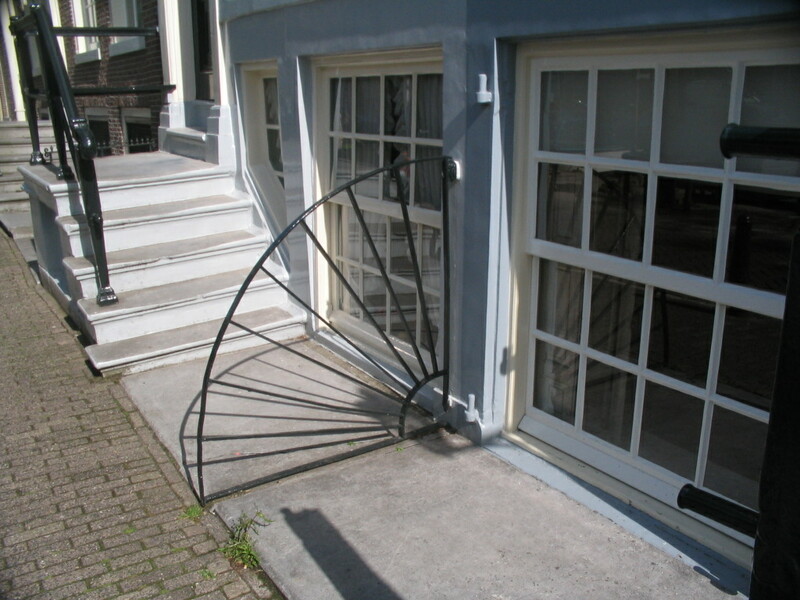 A rather elegant separator of townhouse entries, along the Prinsengracht (Prince's Canal, yet another concentric one) west of Vijzelstraat. 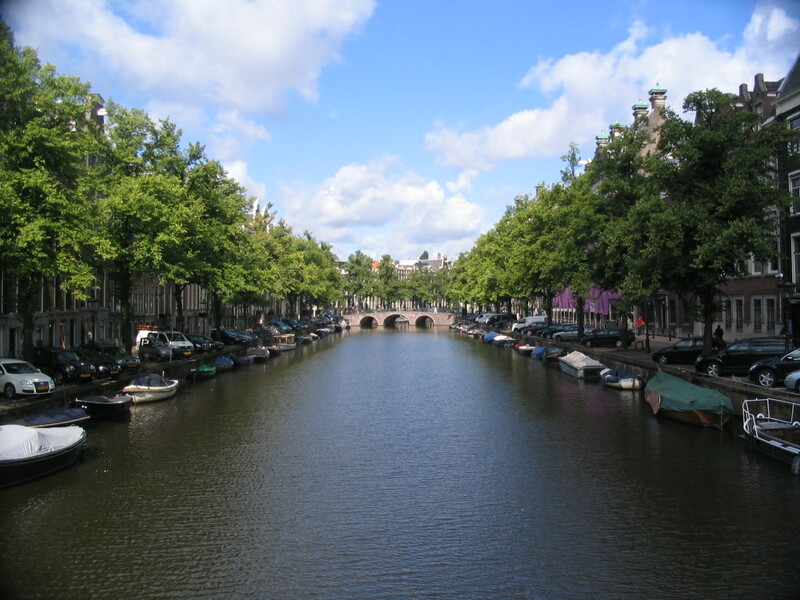 Looking northeast on Nieuwe Spiegelstraat from the Prinsengracht. 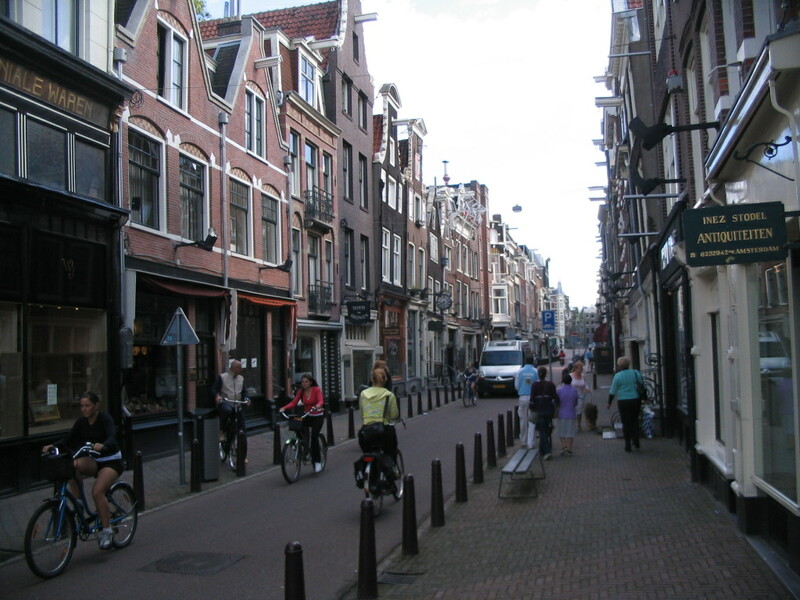 It's interesting from a street design point of view how the bollards divide it in three narrow lanes of nearly equal width. 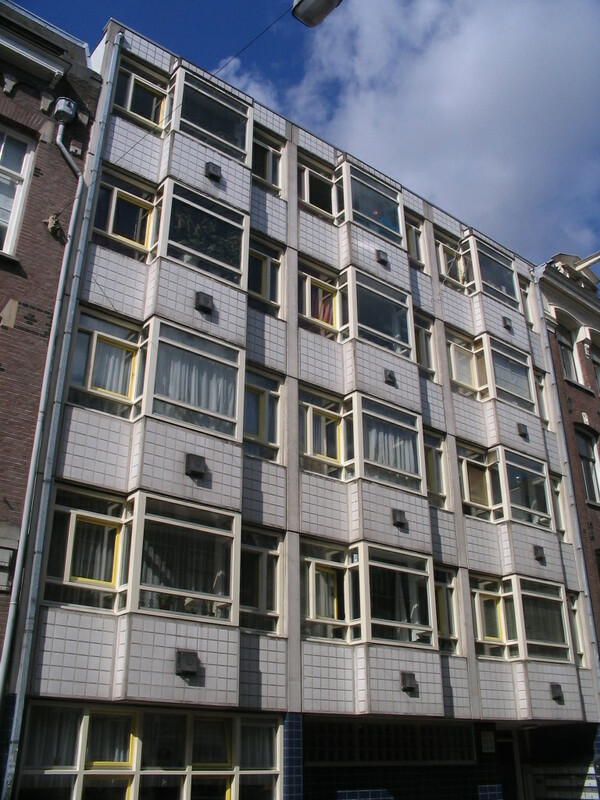 This appears to be a quite Early Modern building, along Kerkstraat northwest of Nieuwe Spiegelstraat. I often find such buildings' materials to have a more human feel than later higher-tech modernist buildings. 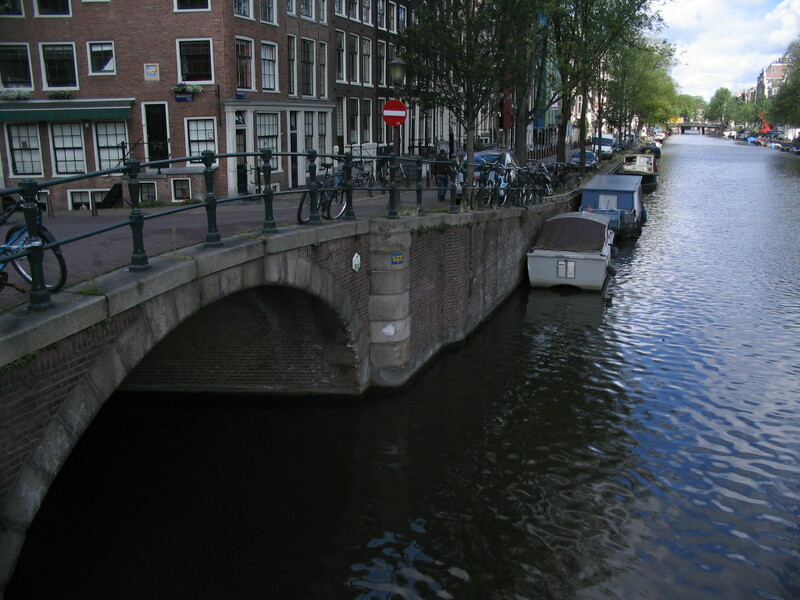 The canal bridges of Leidsestraat, here over the Prinsengracht, are bookended by what appear to be lurking-crocodile stones. 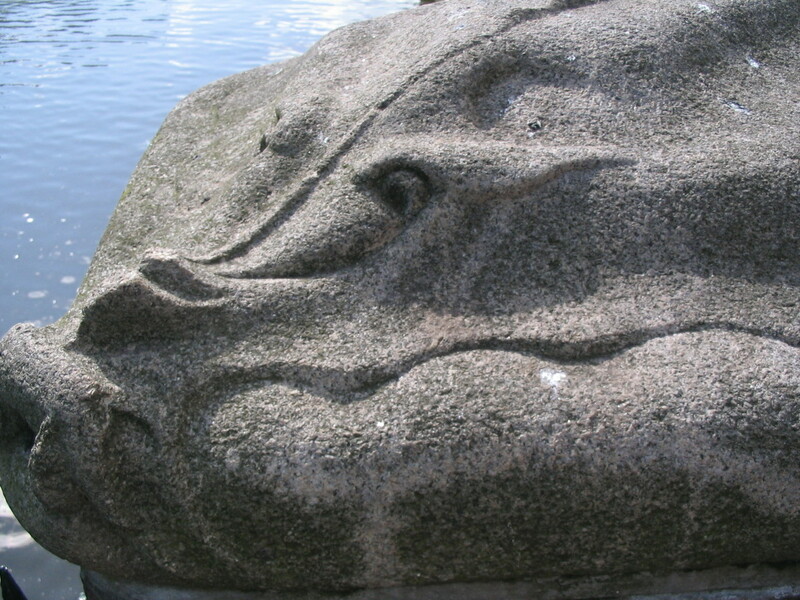 An unsuspecting victim standing right next to the crocodile. 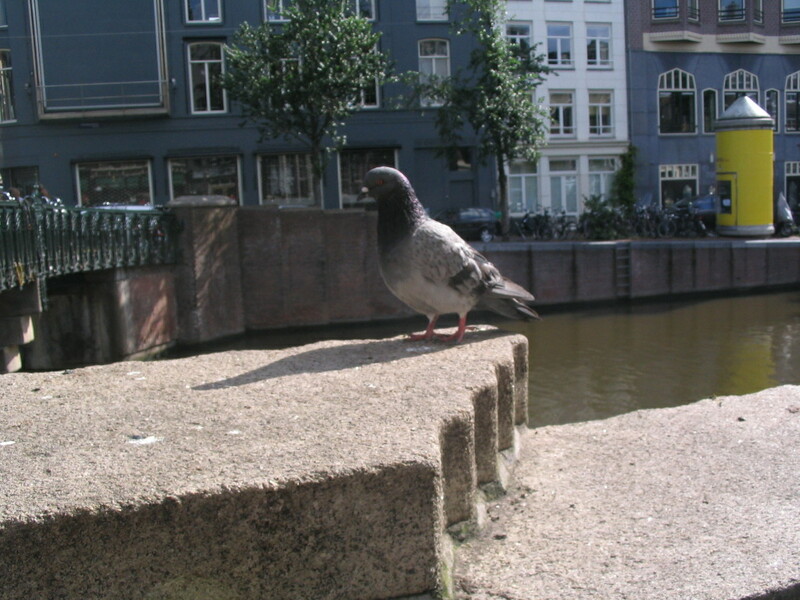 Prinsengracht pidgie. 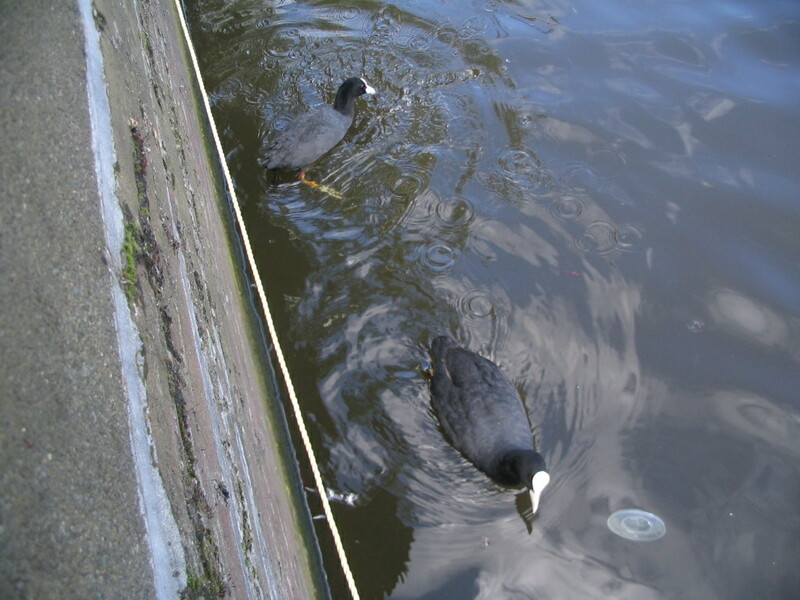 Pidgiegracht. 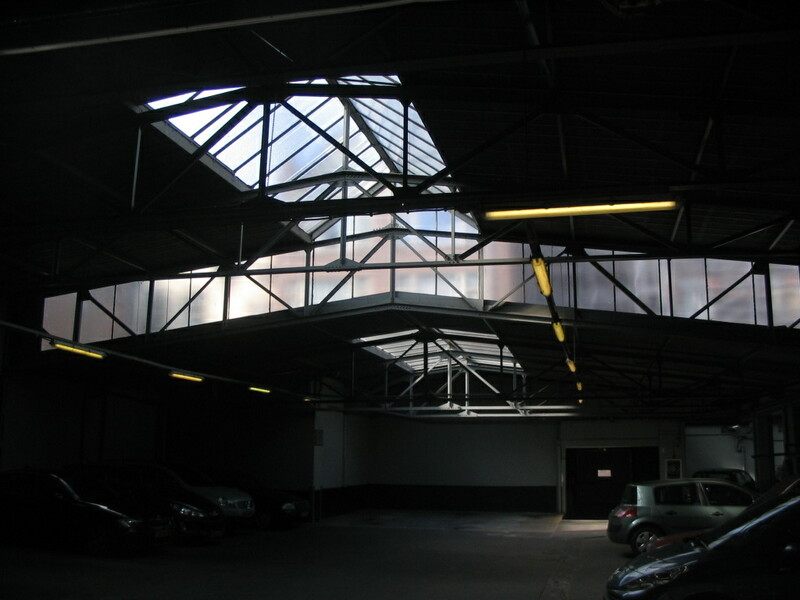 A chiaroscuro parking garage, along Lange Leidsedwarsstraat between Leidsekruisstraat and the Spiegelgracht. 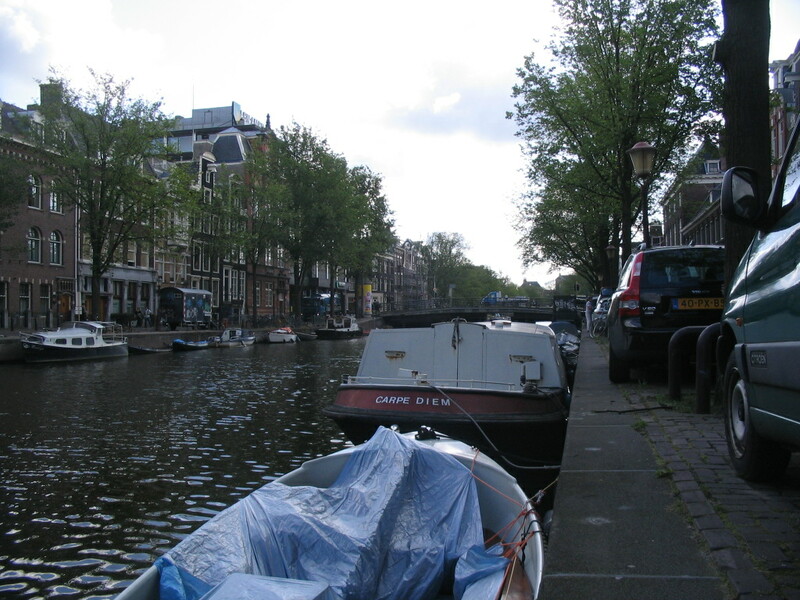 A look northwest along the Prinsengracht where the Spiegelgracht (Mirror Canal) joins it at left. 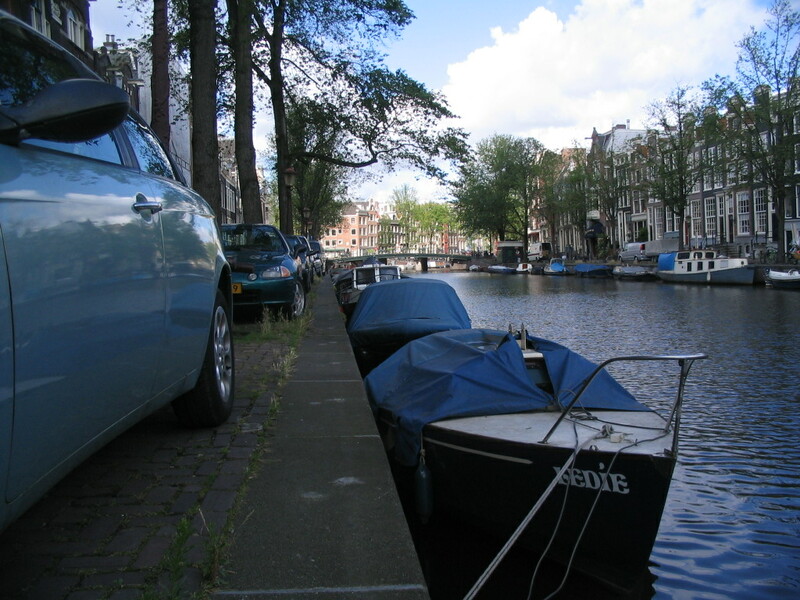 Further east on the Prinsengracht, I took a little break from the walk and sat down at the canal's edge. 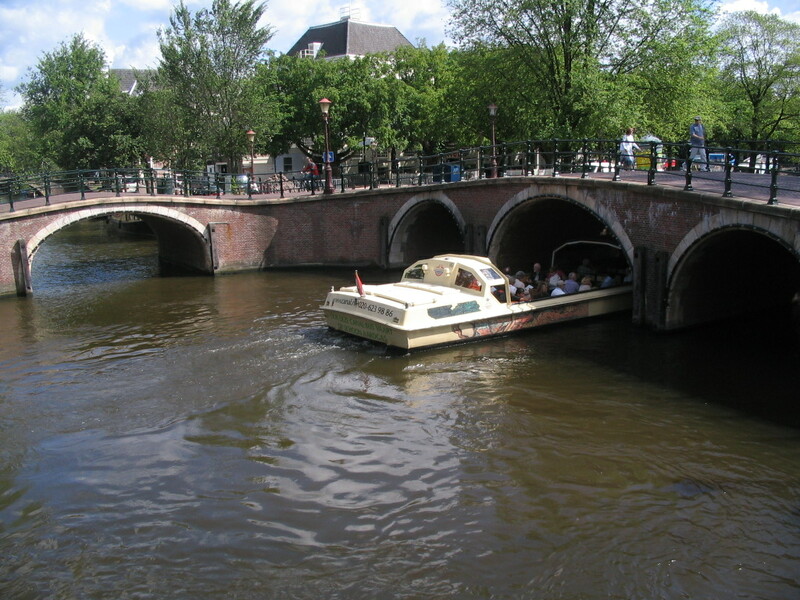 This is a seated view east to the Vijzelstraat bridge. 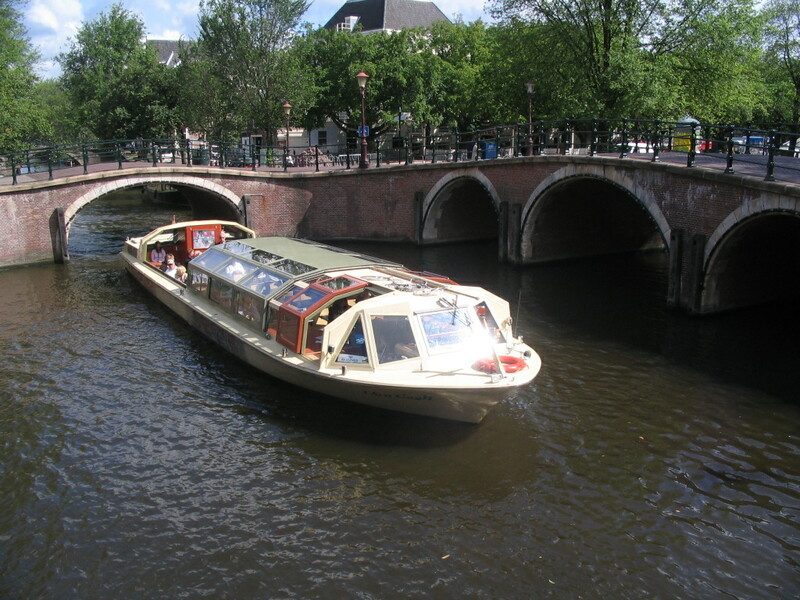 And one to the west, back past the Spiegelgracht/Spiegelstraat bridge. 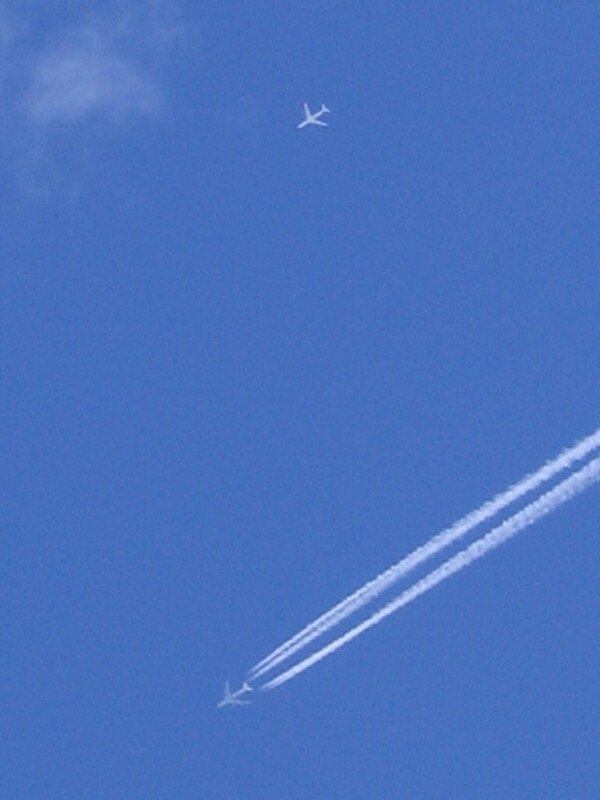 A few minutes later, an airplane bilocated above itself as it crossed overhead. —What? 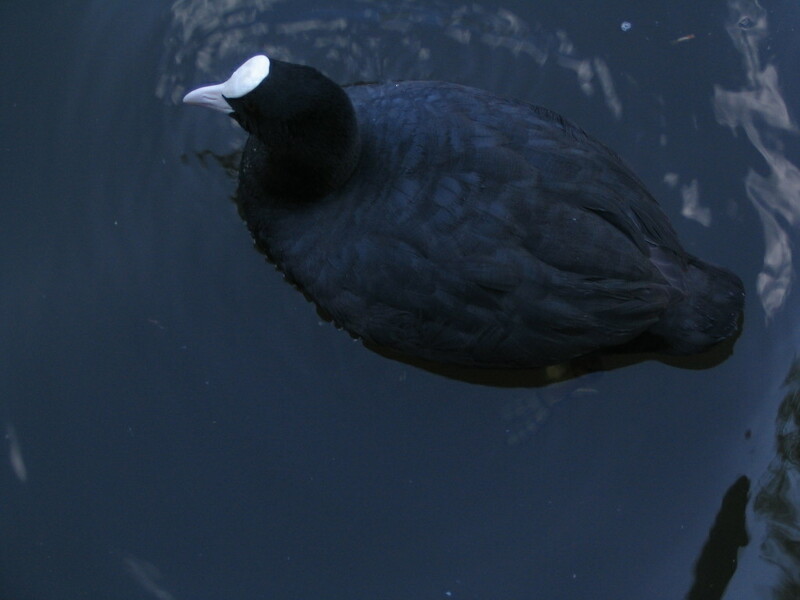 Bilocation isn't real? Well then you tell ME why there's only ONE contrail!! 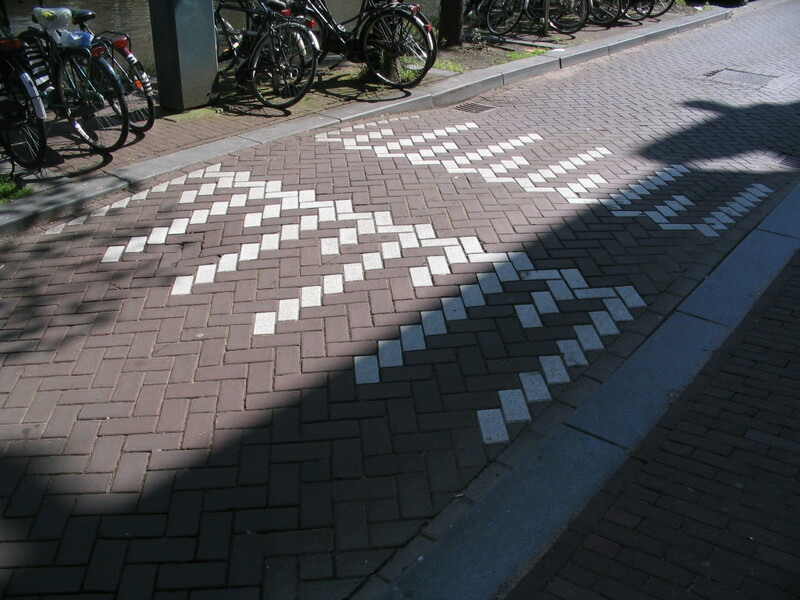 A charming speed bump (how oxymoronic) further along the Prinsengracht, east of Vijzelstraat. 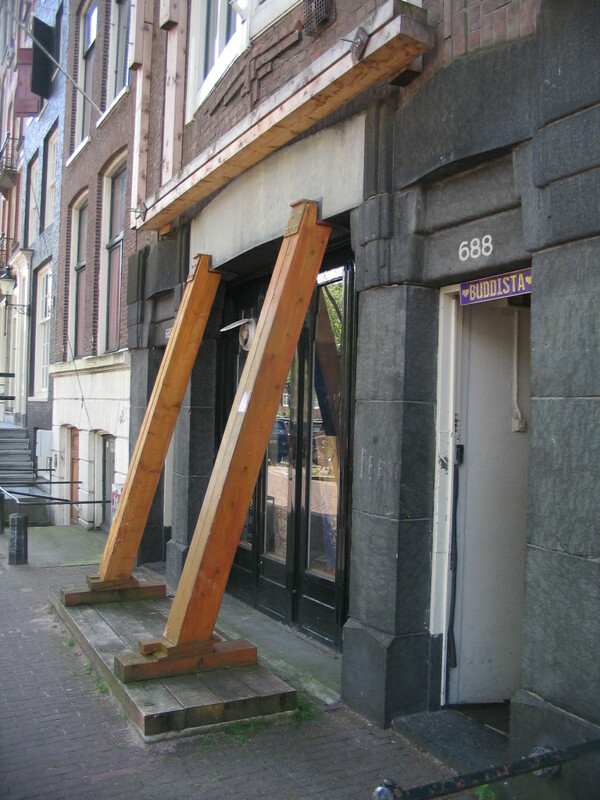 Right nearby, a couple of beefy posts helping out a troubled lintel. I assume this was temporary, but it's actually a pretty cool-looking structure.